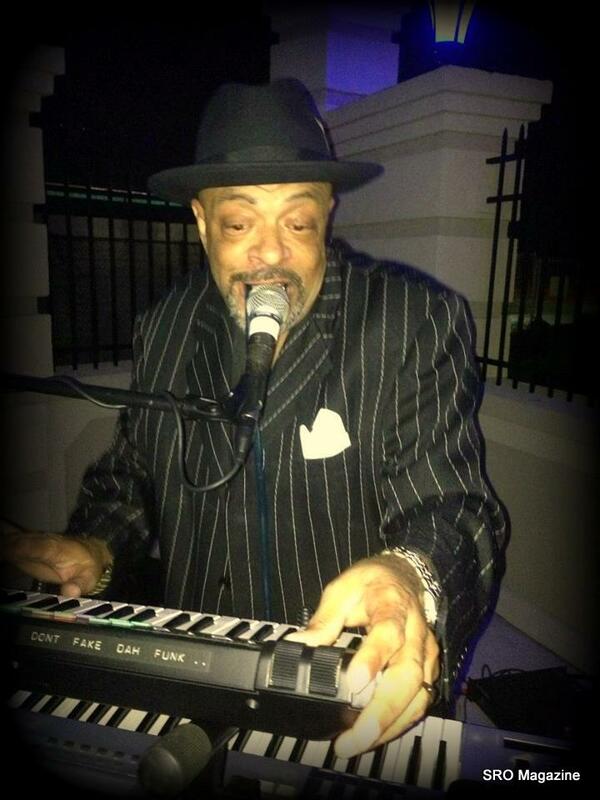 Kirby Hamilton, Jr. aka “PHUNKPLAYAH” explores various genrea of music from “Ol Skool” Funk-Classic R&B, to Smooth Jazz and Jazz Funk, EZ Listening,Latin Jazz, Contemporary Gospel FunkTechno and Electronica. Known for continuing the Roger Troutman tradition with the “talkbox” he adds this to his flavor of musical expression while maintaning his OWN identity and trademarks. His earlier recordings are now collectors items and are still in demand in France, Sweden, and parts of NC and California. PHUNKPLAYAH can be found on ten separate mixtapes with ten different instrumental beats just waiting for the right Hip-Hop artists to join forces. PHUNKPLAYAH…….a new name to watch for. I was first introduced to funk music when I was attending Advanced Individual Training at Fort Gordon, Georgia while in the US Army. One of my fellow soldiers was nicknamed “P-Funk”. What I found out was it stood for a funk-style band named Parliament-Funkadelic. Although P-Funk as his name implies loved funk music. I was a narrow-minded young man when it came to funk and did not bother to give it a chance. Now in my late 40′s I may not like all types of music but I can appreciate the different genres. I do not listen to funk often but find my foot tapping when I do hear it. How can it not? Being a bass player, I love funk bass; the slapping and just the groove it has! This past Friday, October 4th at Club Barcelona, in Fayetteville, I was surprisingly fortunate to meet PhunkPlayah. He was a very humble man; thankful for the opportunity to play. He came dressed to impress all the way to the tip of his hat. Was it a big production? No. This incredibly gifted man has written the music for his whole show and performs with his keyboard, synthesizer, voice box, microphone, and his written back tracks. I have never seen, nor did I know that you could use a voice box on keyboards. Normally it has been used by guitarists, and then mainly in the 70′s. As we spoke, I asked him what made him want to be a musician, and his reply was, “Always dabbled with music. My dad is a musician but in junior high, when I saw my cousin Ralphe playing drums with the high school stage band that did it.” When Phunk was asked about his musical influences he stated, “I was so influenced by the Troutman Crew, Roger, Zapp, Lester, all of them. Then Dr. Dre gave me my first talk box and the rest has been history.” He goes on to add that he was influence by many more ‘Funksters’. When I inquired if he still had the voice box Dr. Dre gave him, Phunk replied, “I wish I did man. I kept if for a long time; along with my first check from Death Row“[laughs]. Phunk played in bands since the 7th grade and started gigging with adult musicians on the weekends while in high school. After high school, he went on to college to major in music. His first recording session was with the Atlanta-based funk band Brick that released their first album in 1979. Shortly after their record launch Phunk took a job teaching junior high school and composing Muzak in California. Once settled in California he was able to release the follow-up record. 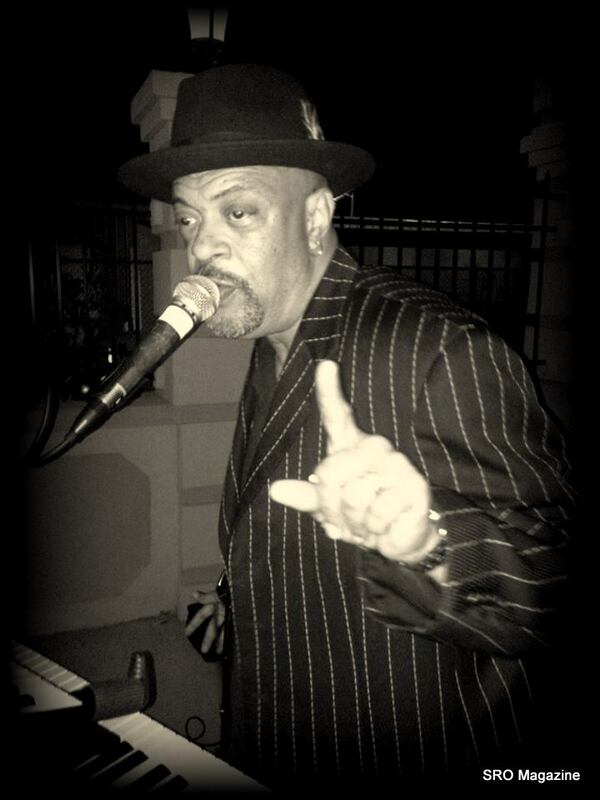 While in California, Phunk began to play with one of Palm Springs’ favorites, Tonal Eclipse (later known as Savoir Fare) and The John Staley King Band. Phunk is a very talented man who has mastered the organ, bass guitar and drums and shares his talents in multiple area churches. A busy man–indeed. I asked what people can expect at a PhunkPlayah show and he said, “I like to take people through a musical journey; 70’s, 80’s, 90’s and beyond and then take them to Planet Phunk! [Laughs]. They can expect Ol’ Skool Funk, Classic R&B, Funk Rock, Jazz Funk, Jazz Fusion, Smooth Jazz and Rock.” He adds, “That’s not always possible when you’re trying to please management and fans. So I just do what I do and try to make sure my environment feels the same to appreciate it.” What I would like to add is my eyes were forced open from what I saw that Friday at Club Barcelona. Phunk is a musician who has completely mastered his profession. HE WAS PHUNK! For those that missed this Funk spectacle, you are in luck! On Thursday, October 17th The Elderok Music Company will be hosting a night of PHUNK! 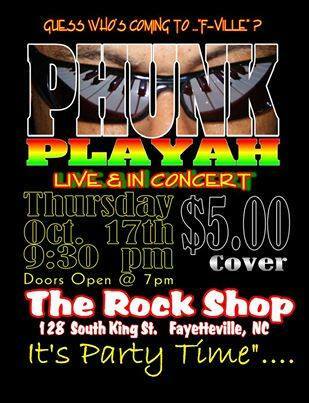 The show will be at The Rock Shop at 128 South King Street in Fayetteville, North Carolina. PhunkPlayah will be bringing along Fayetteville’s very own, Val Jones to open this amazing show. If you want to take a trip from the beginning of funk through modern hits, this is a must-see event! Admission is only $5.00 and doors open 6:00 pm; show starts at 9:00 pm.